Several years ago, a friend was over at our apartment in China. When he was washing his hands, he noticed that there was barely any water coming out of the faucet. We had always assumed that the water pressure was just lousy at that particular sink, but he suggested cleaning out the faucet head to see if that would help. Eric did, and voila! We suddenly had fantastic water pressure and volume coming out of the faucet. So, if you have a faucet that barely puts out water even on full blast, or if the water shoots out sideways instead of coming out straight down, try cleaning the head. This is also something to try if the water volume suddenly goes down, especially after the water has been off, or there has been work on the pipes. All kinds of roadwork gunk can get stuck in there. Blech. 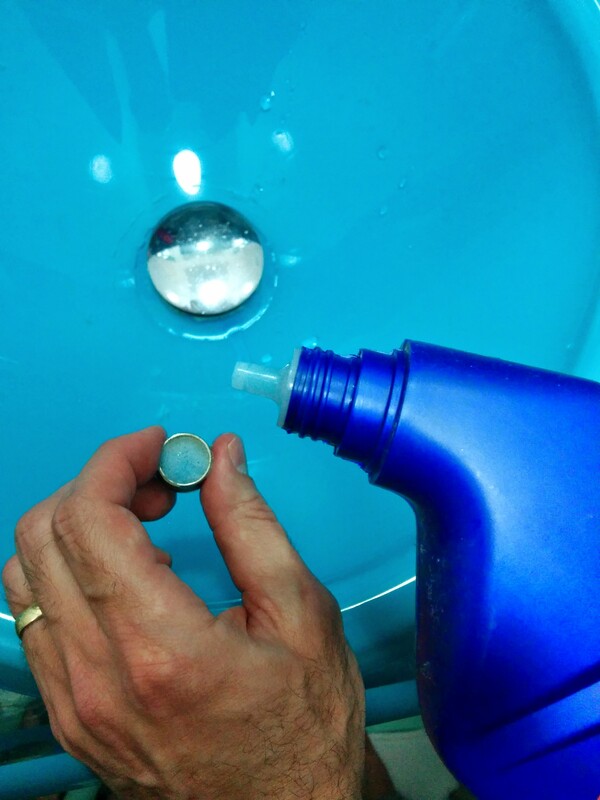 Cleaning the faucet head is a very easy process. 1. First, unscrew the faucet head. Remember that it’s only “lefty loosy” (counterclockwise) if you were looking at it from below, so it will be clockwise looking at it from above. 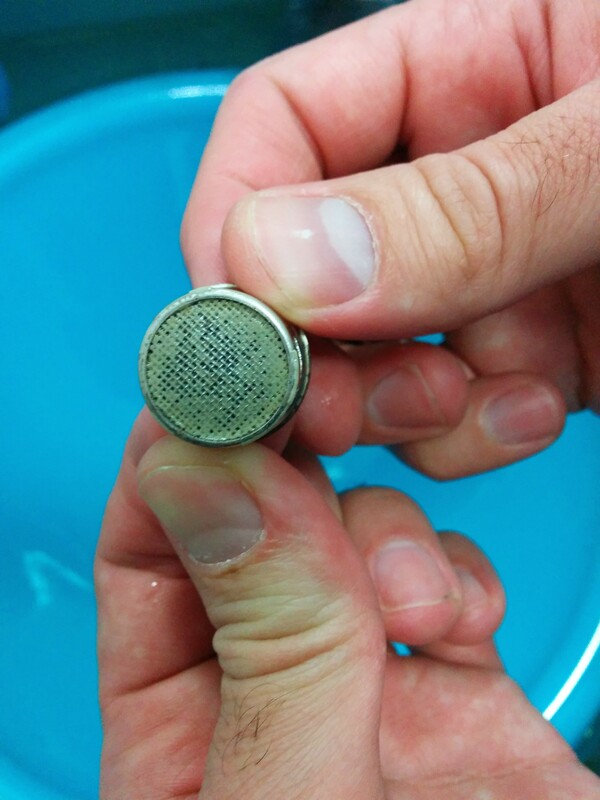 There will be two or three pieces: the aerator (something like a tiny sieve or screen), the ring that goes around it, and possibly a gasket, too. Keep track of how they’re supposed to fit together. If the aerator is covered in gunk or the holes look all plugged up, you have found your problem. 2. Don’t think about the fact that the water you’ve been using to rinse your vegetables and dishes has been coming through that stuff. This is why we drink bottled water, folks. 5. Turn on the faucet to see if the water is now flowing properly. Hopefully, you will also have a voila moment.